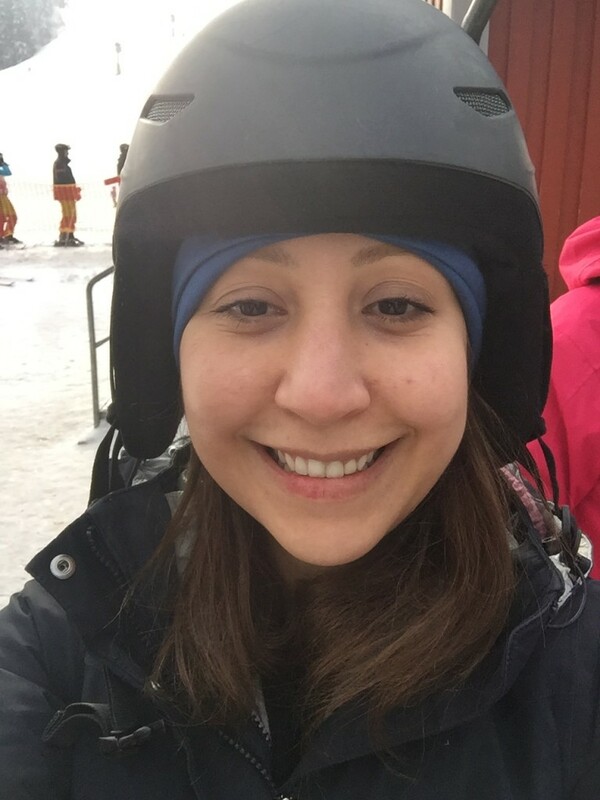 Sara takes to the slopes in Sweden. Greetings from Gothenburg (Göteborg), Sweden, where I am currently on a six-month research visit to the GigaHertz Centre (GHz Centre) at Chalmers University of Technology. The GHz Centre focuses on high-frequency technology research. This is an exciting area: the move to microwave and THz frequencies poses fundamental questions for the design of hardware for future wireless systems. As millimetre wave (mmw) technology is widely accepted as a promising candidate for 5G systems, some fundamental changes are required in the deployment of mmw cellular networks. As a result, sophisticated and highly integrated antenna designs are required for mmw communication systems to overcome the severe attenuation and path loss between the transmitters and receivers. However, in such a system, an increase in the number of antenna elements as well as the proximity of antenna elements causes unfavourable coupling between the antennas in the array. During my visit at the GHz centre, we have designed an algorithm to identify the coupling between the antenna elements in a large antenna array. Currently, I am testing this algorithm on a 4-element antenna array. Besides the research, I have had easy access to the ski resorts in winter, as well as the archipelago during summertime. Chilled-out Gothenburg has considerable appeal for visitors, and I am looking forward to exploring the city and its exceptional culture some more in the remaining time that I have here.